This afternoon we decided to play tourists and headed a short drive up the coast to Hemsby. Hemsby holds a special place in my heart, when I first moved to Norfolk as a teenager we lived in Newport which is just a short walk away from Hemsby. That first summer I would spend my days walking along the beach up to Hemsby, playing prize bingo and making friends with the other teenagers that were here on holiday. In many ways it is strange that I’m now taking my children there to enjoy the tourist delights but then there is a part of me that is pleased that we have this little piece of tourism on our doorstep. 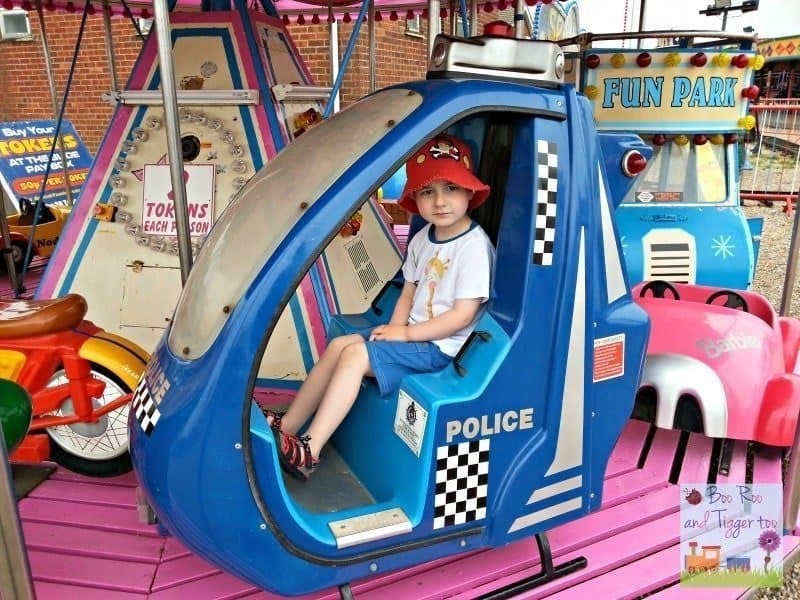 After finding some unused funfair tokens from last year we decided to pop along and see what rides were available. 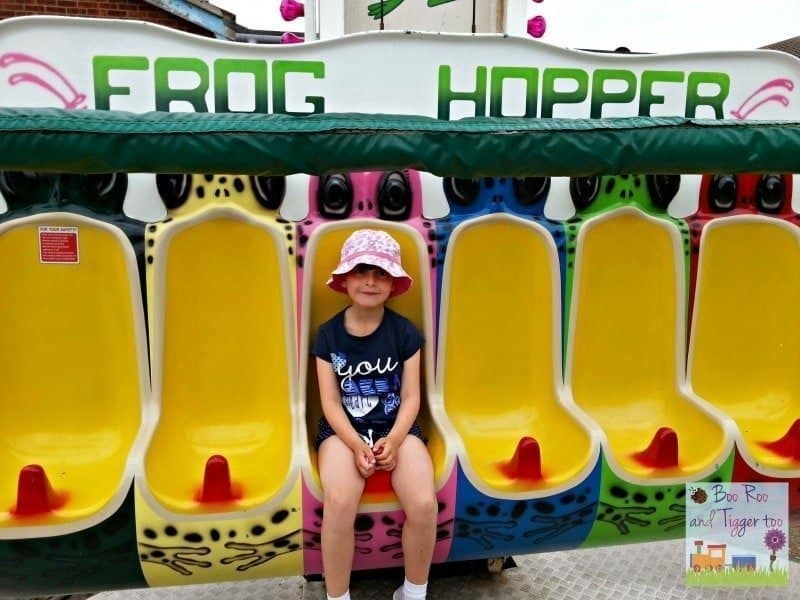 Hemsby funfair has seen better days and could really do with a little updating but with most rides costing just £1.00 a go you can’t argue really. 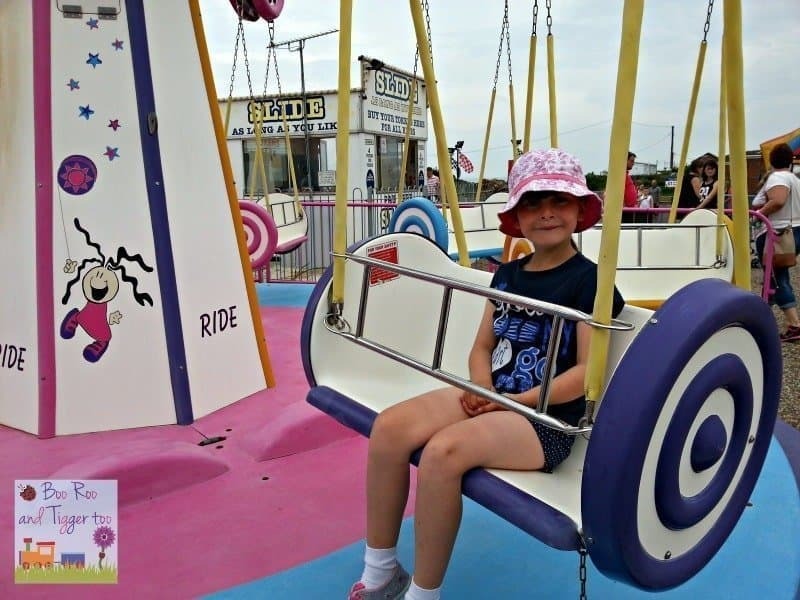 Roo of course loves a funfair, she is adventurous and fearless when it comes to rides. 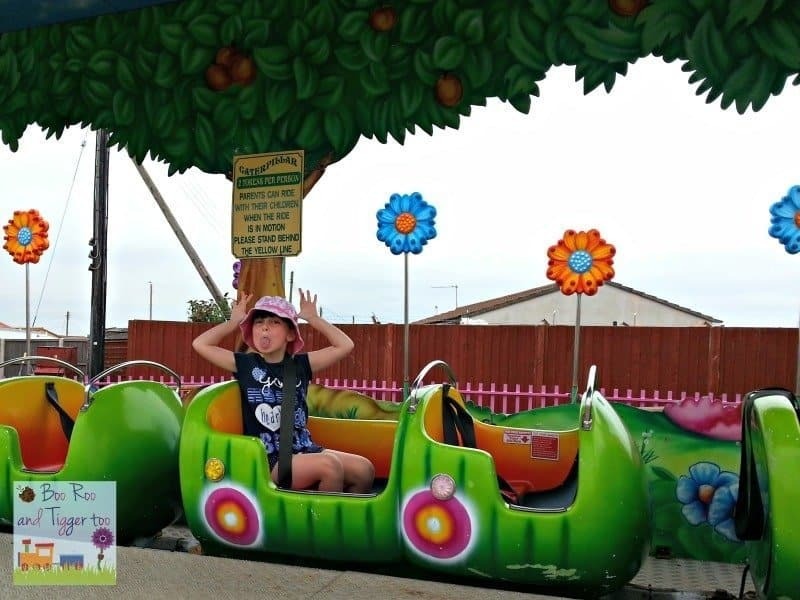 She wants to go on all the fast and twirling rides, unfortunately this generally falls to Mr Boo to accompany her on ones that she is unable to go on myself. Tigger, however is much more reserved and prefers to take a look at all the rides first before deciding on which one he’d like to go on. Roo did manage to convince Mr Boo to go onto the waltzers but they were spinning so much that there was no way I could snap a photo, Tigger thought it was hilarious watching them. To make the most of the warm weather before another storm rolls in we took a stroll down to the beach before heading off for some tea. I truly lovely family afternoon, happy days. What a great afternoon…..Looks like a fab time was had! How lovely, my older two are like that Chloe goes on everything, always has but Dyl is quite unsure. Florida will be fun for us next week! Looks like a lovely day out, such wonderful bright pictures too! 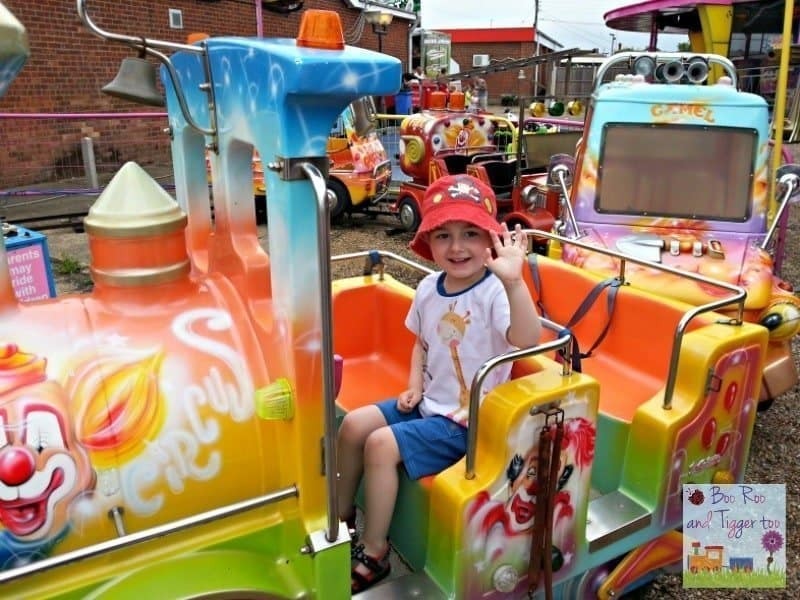 There’s a brilliant funfair near us – I love taking the kids for the afternoon! We’d rather go there than a theme park and it’s so much cheaper! Thanks for sharing this with the blog carnival and I wish we lived closer to the seaside. Looks lots of fun.